Turkey Work Permit Visa can be granted to everyone who wants to work in Turkey. This is why you need to apply for Turkey Work Visa. You cannot work in Turkey without your work Permit. 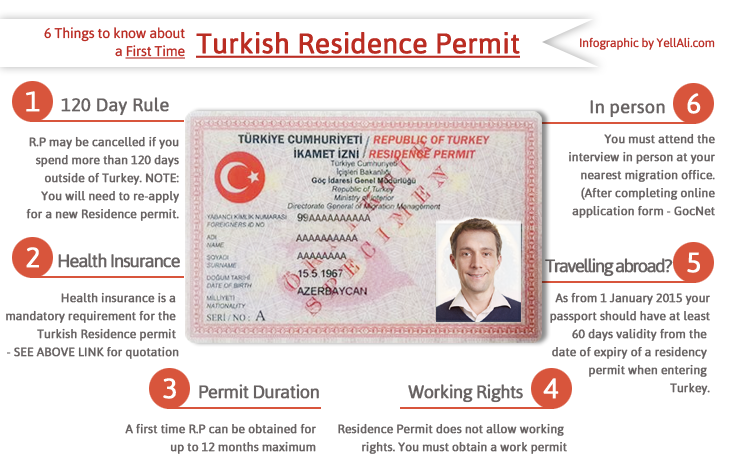 This guide will put you through on how you can apply for a work permit in Turkey. Every foreigner working in Turkey requires a valid work permit. These permits are issued by the Turkish Ministry of Labour and Social Security (MLSS). Most foreigners should apply for their work permits concurrent to their work visas. This means that you will submit your work visa application materials to the Turkish embassy or consulate in your home country, while your employer submits the required documents to the MLSS. It is also possible, however, to apply for a work permit from inside Turkey. Foreigners are eligible to do so if they have already been issued a residence permit with a remaining validity of at least six months. Foreigners who entered Turkey as tourists are not eligible for work permits. Regardless of whether you apply for a work permit from inside or outside of Turkey, you will need to have an employment contract or job offer. Once you and your employer have submitted your application the MLSS will process the application within 90 days. If your application is approved, you must travel to a Turkish embassy in person to have the work visa and permit stamped into your passport. If you are applying from inside Turkey, you can pick up your visa and permit at the MLSS offices in Ankara. Finally, you must apply for a residence permit within 30 days of your arrival in Turkey. Apply at the Foreigner´s Branch of the local police station closest to your employer. You are not allowed to begin working until you have obtained your work visa, work permit, and residence permit. Check with the Turkish Ministry of Labour and Social Security for updated lists of the documents required from you and your employer. Work permits are initially issued for a period of one year. If you need to extend your work permit (which you probably will), you must apply for an extension within 2 ½ months of your work permit´s listed expiration date. Your extended work permit will be valid for 2 years. If you apply for a second extension, that work permit will then be valid for 3 years. Once you have lived and worked in Turkey (legally) for 8 consecutive years you are eligible to apply for an indefinite work permit, which (as the name suggests) does not require renewal. If you have worked in Turkey legally for at least 5 years without interruption you are eligible for an independent work permit, which allows you to work as self-employed individual. This is an important milestone if your ultimate goal is to start your own business in Turkey.